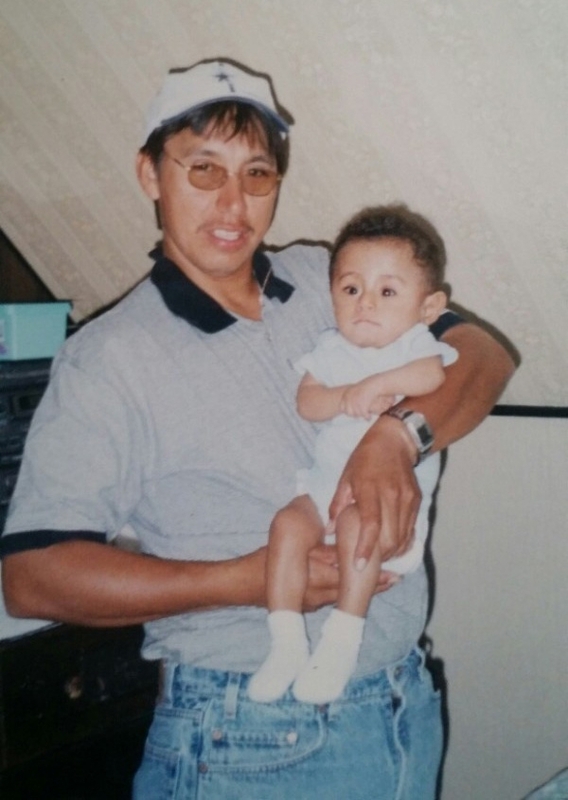 Eloy Jr. Serrato-Nunez was born September 30, 1999. 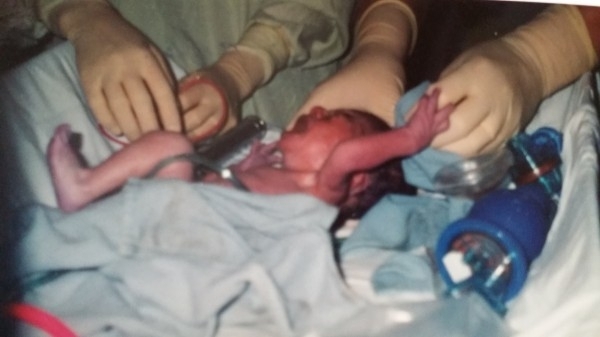 His parents felt incredibly lucky that they had an opportunity to see their baby alive. They expected him to die at any moment, because for 8 months that was what the doctors had been telling them. 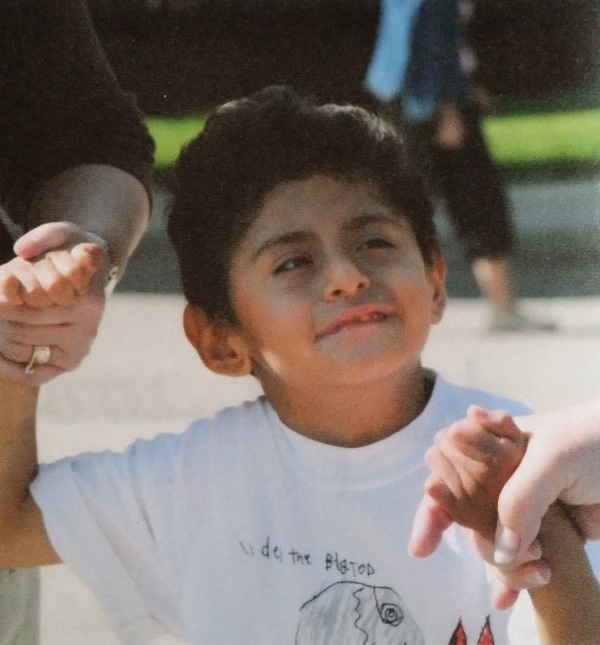 After an amniocentesis to detect chromosomal abnormalities early on, Anabel and her husband Eloy knew their son had a partial deletion and duplication of the long arm of chromosome 8. 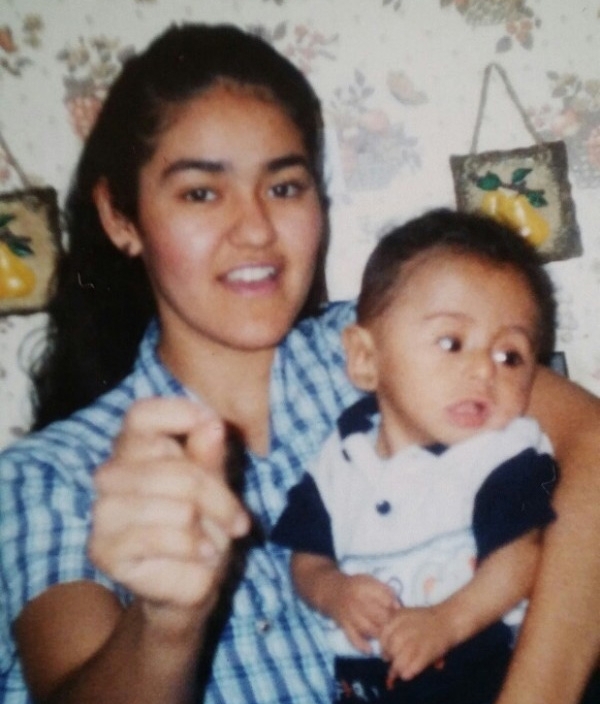 This extremely rare chromosomal abnormality would cause certain physical delays, cognitive deficiencies, a heart defect, and a slim chance at survival. But this 4 lb. fighter made it through the first hour alive. Then he made it the first day. He fought through 4 weeks in the hospital, and stayed alive. Bewildered, the doctors sent him home with his family. Because he was so weak, for the first eleven months Annabelle and Eloy had to spoon feed breast milk to their son. The process took them two hours each time. Finally he was administered a G-tube and began to put on weight. For the next few years, it was touch-and-go. Eloy spent as much time in the hospital as he did at home. While juggling a high-needs child and running to the hospital every other week, Anabel somehow managed to enroll in college. She knew it would be difficult, but she wanted to learn English to be able to communicate with Eloy’s doctors. She and her husband were flat-out determined to give their son the best possible version of his life. It took her 5 years, but she graduated with an Associate’s Degree in Arts. This was around the same time that Eloy’s health finally leveled off, and the family collectively heaved a sigh of relief. Eloy enrolled in a special education school full-time, so Anabel went back to school while working part time. 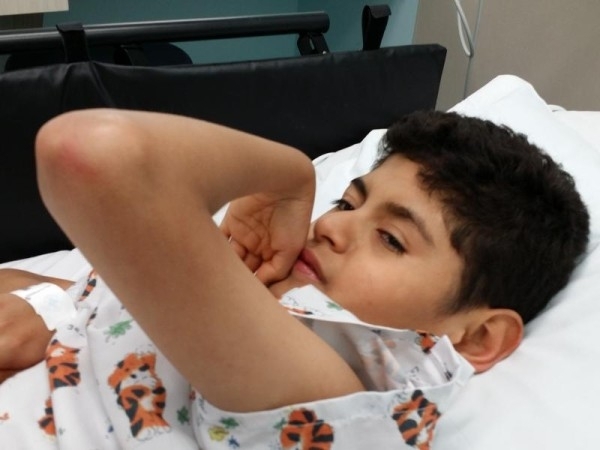 Although the trips to the hospital were more infrequent, Eloy still got lots of ear infections, surgeries, appointments and therapies. Luckily, Anabel’s schedule was flexible enough to accommodate the hectic lifestyle. 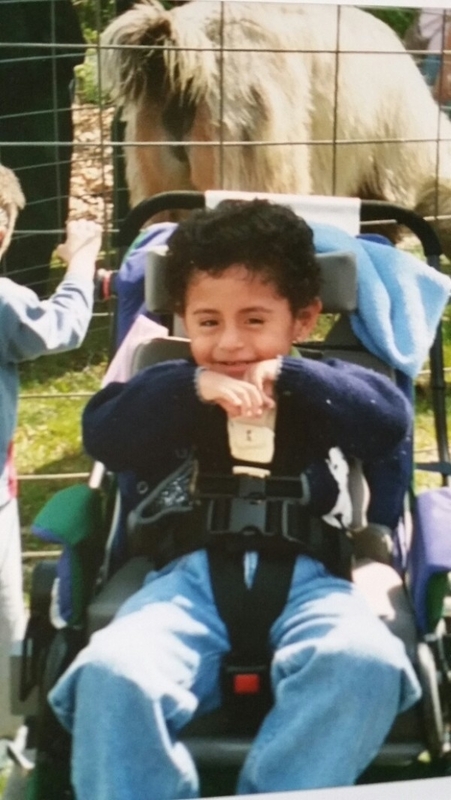 When he wasn’t sick, Eloy would attend school to apply himself and challenge his limitations. Every day that he learned, every day that he grew, he was obliterating doctors’ original diagnosis that he wouldn't survive, let alone accomplish these milestones. 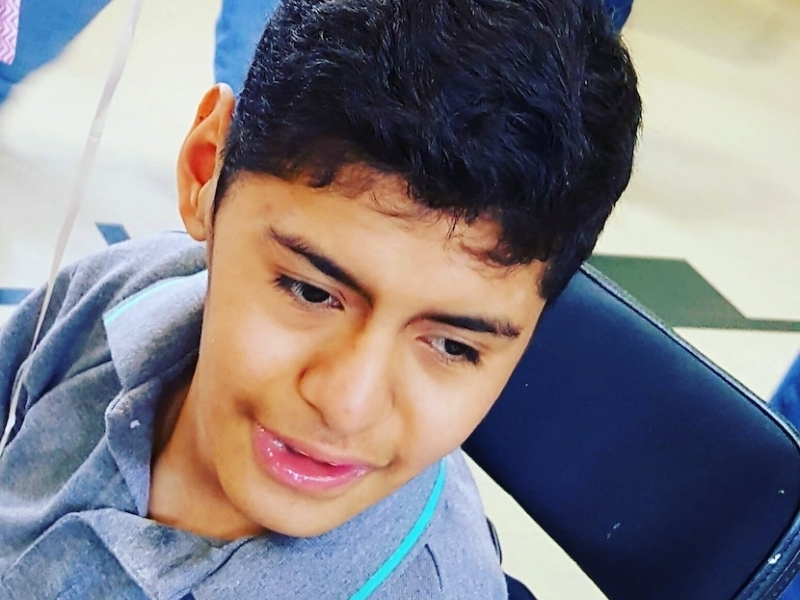 Now 15, Eloy shines a light that brightens even “the darkest of days.” He loves music, attends music therapy, enjoys swimming and is always a happy and sweet boy. Eloy continues to attend school, and when Anabel graduated with her Bachelor’s in Psychology, she started assistant teaching Special Education at Eloy's school so they have the same schedule. After everything they had accomplished as a family, there was still something missing. And for the first time in 15 years, they reached out for some help. At 73 lbs., Eloy Sr. and Anabel can no longer lift their son into their family van. 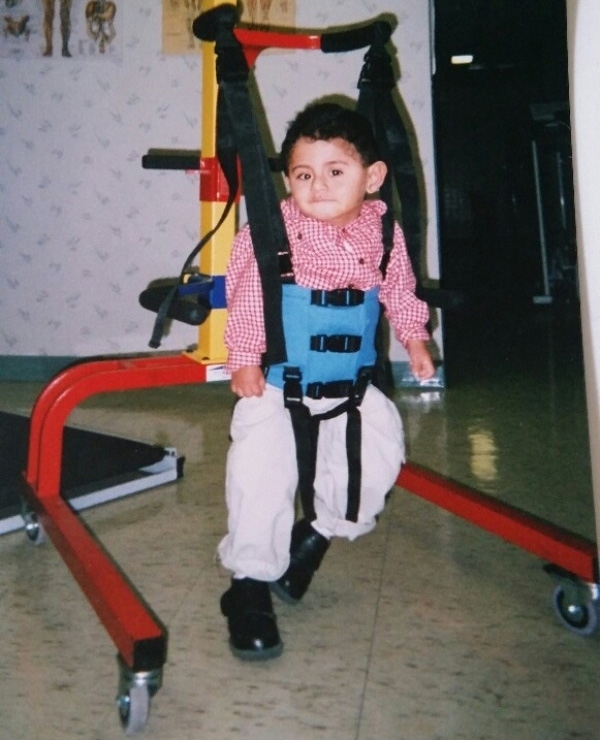 Between school, physical therapy, musical therapy and many doctors appointments, he is constantly on the move. If this goes on, it could be more than a constant inconvenience. It could be potentially dangerous to Eloy’s safety. One day Anabel came across the Chive Charities website, and read the other stories about recipients we’ve helped. Anabel told us “I saw Eloy in every child.” Whether or not they shared the same symptoms was irrelevant, she could sense the determination, the fight, in each kid. And she knew this was the organization that would help her son. 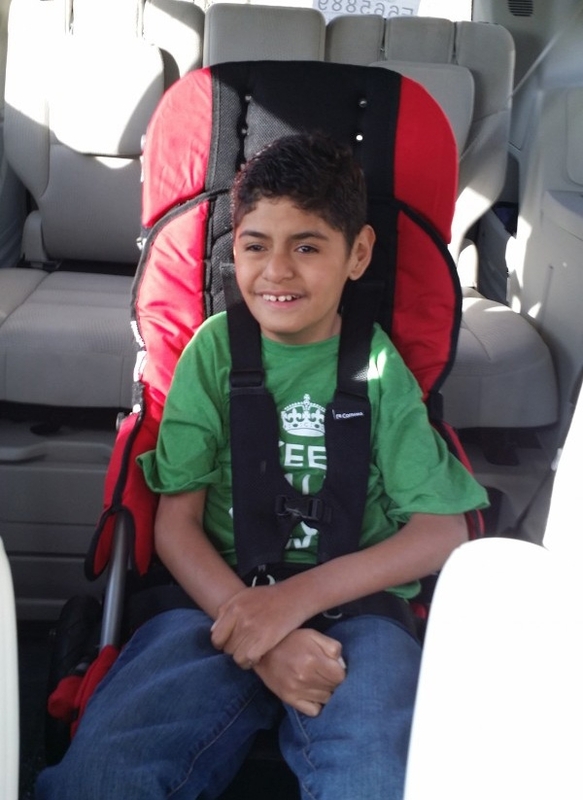 Help for Eloy arrived in the form of a $57,000 grant from Chive Charities. The grant purchased a 2015 Dodge Caravan with ramp, and a Transit stroller. In other words, he received the gift of freedom. 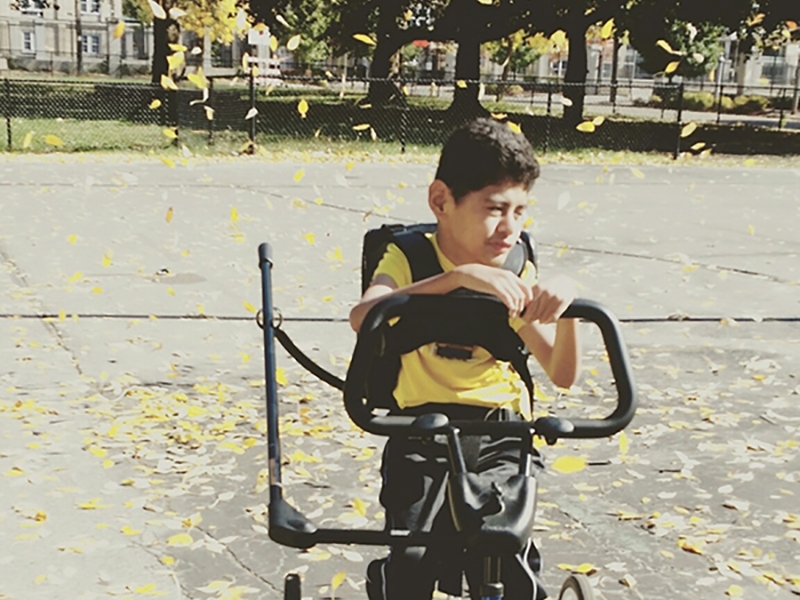 Since he is not able to walk unassisted, or drive, or travel independently, these two means of transportation meant for him, an entirely new world of opportunity. Anabel and Eloy Jr. When Eloy was born she and her husband realized he needed full-time care, so she quit her job and stayed at home with him for the first year of his life. Later, she went back to school and then on to teaching, all the while keeping a flexible schedule so she would never have to miss one of Eloy’s appointments. Eloy here with his father. Eloy Sr. has worked full-time since Eloy was born to support his son and give him the life he deserves. 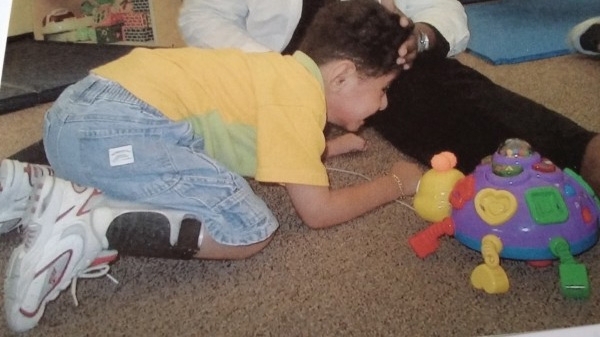 Eloy started in physical therapy at an early age. Here, he exercises his legs and works on balance. Being in a wheelchair has never impeded this guy's progress. Here, Eloy visits a zoo. 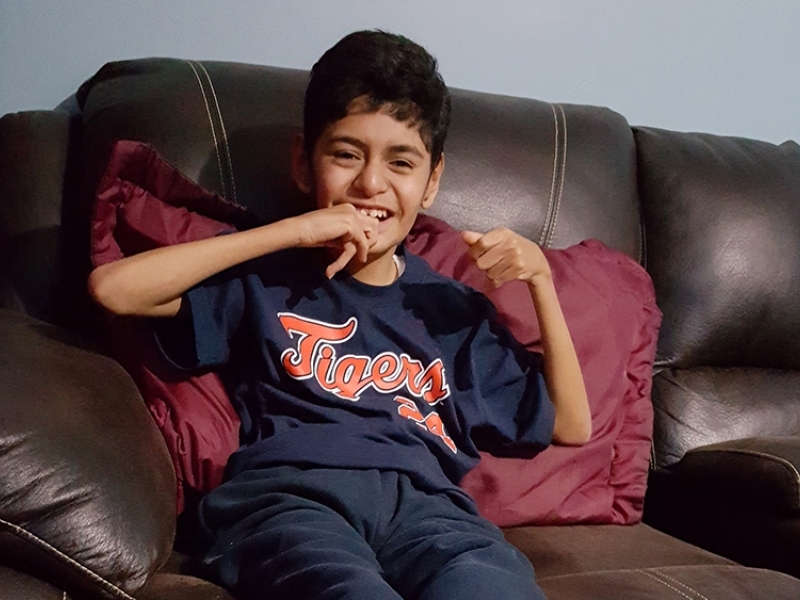 However, as he’s grown it has made it more challenging for him to go places because of their lack of safe, wheelchair-accessible transportation. 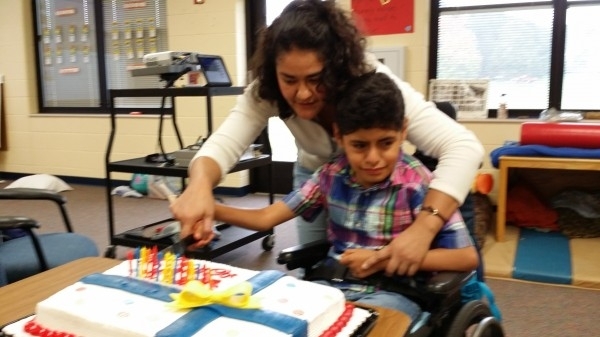 Eloy is mostly bound to a wheelchair, but he can take a few steps with help. Here, he walks for just a few precious moments on the arm of people that have loved and supported him his whole life. One of Eloy’s hundreds of hospital stays in his short 15 years of life. He’s always a good sport, though. Anabel tells us he doesn’t like to show how much pain he is in, because he knows it causes her distress. 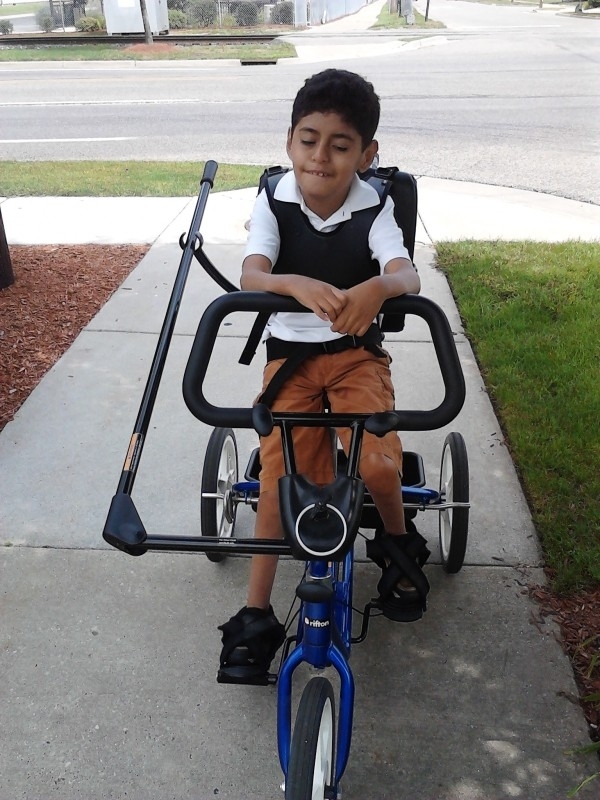 Riding his adaptive bike is not only one of Eloy’s favorite pastimes, it’s also great physical therapy. He is never resting or feeling sorry for himself. He is vigilant in his mission to strengthen and grow as much as he can. This smiling boy loves to swim and be outside! Now he can go to the pool as much as he wants with his new van and stroller! Anabel now works in the same school as her son. Here’s our guy in his awesome new Convaid Cruiser Transit Stroller. He can be transported safely and comfortably when he wants to go somewhere that can’t accommodate his bulky wheelchair. 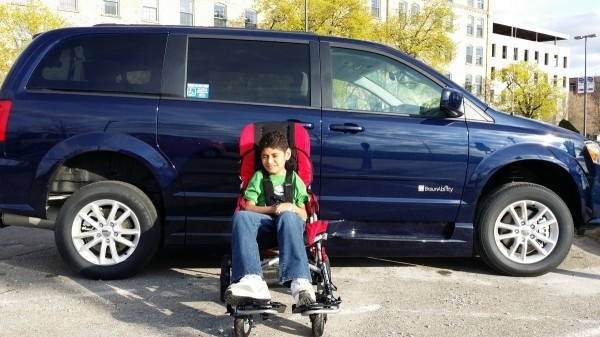 The van has already made life “so much easier.” For both Eloy and his parents, this safe, brand-new, wheelchair-accessible van is going to open a lot of doors. Now they won’t be held back by anything, except maybe their busy schedules! Although these days it’s Eloy who inspires those around him with his tenacity and courage, we think he might have gotten a bit of that drive from his parents. Like them, he has refused to live the life he was born into. He proved the doctors wrong at every turn. He has fought, each day, to do more than just merely survive.